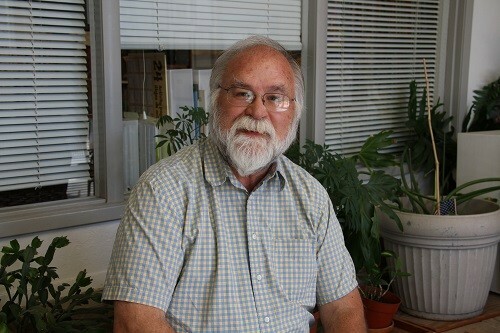 Rex Higginbotham has been co-owner of the school since 1996 and is the school’s Music Director. Prior to him signing on as his wife Ann’s business partner, Rex practiced optometry at Kaiser Permanente of Oakland. At Rising Star his chief responsibility is overseeing the school’s finances while Ann managed the school’s daily operations. Logann Gavey has 15 years of teaching experience. At Rising Star, she has taught from preschool through 3rd grade. She is now a member of the Administrative team and works collaboratively with all of the classes through curriculum development and in supporting the staff and children. Logann is an alumnus of Rising Star, and has attended Montessori schools through the 6th grade. She graduated from Ferrum College in South Western Virginia with a Bachelor’s Degree in Liberal Studies, and she holds minors in Educational Theatre, Sociology, and Medieval Literature. She has held her primary Montessori Credential since 2001, and her Elementary 1 Credential since 2015 and is Director qualified. Logann has a great passion for witnessing the development of children, meeting them where they are, and working to cultivate joy within the classroom. She has a special interest in working with children through their challenges, whether they are social, emotional or educational. She was born and raised in Albany, California. She currently resides in Richmond. While not working she enjoys hiking with her Labrador mutts, Jubilee and Penny, singing, dancing, and attempting to play the guitar. Shane is our tech guru, managing the development and launch process for hundreds of Web, Application and eCommerce projects. He is the go to guy for building and deployment of Quality Assurance departments for Chicago Digital Agencies. 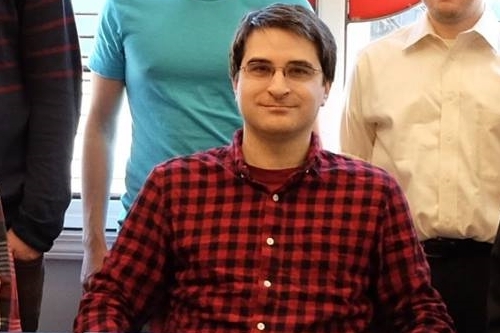 Shane possesses a Bachelors of Science in Information Systems and a Masters of Science in Information Technology Project Management from DePaul University of Chicago. 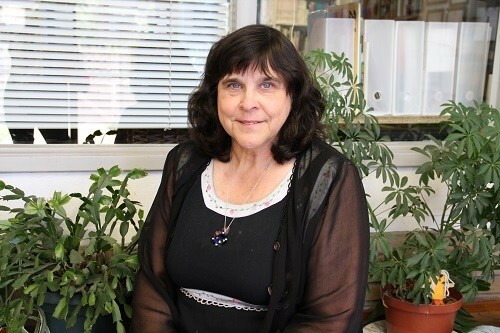 Katrina Ross has served as school’s director for 18 years and has been a devoted educator and Montessori practitioner for over 30 years. As director, she leads the school in professional development of staff, promotes educational excellence among the children, and strives to create a sense of family and community that embodies the school’s mission. 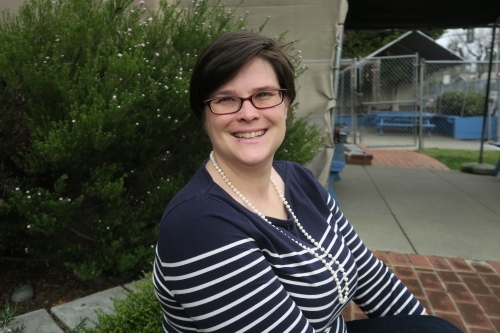 Prior to her role as director, she started her Rising Star tenure as a preschool teacher for three years at the Cottage Campus, before serving as the school’s Kindergarten teacher for six years. 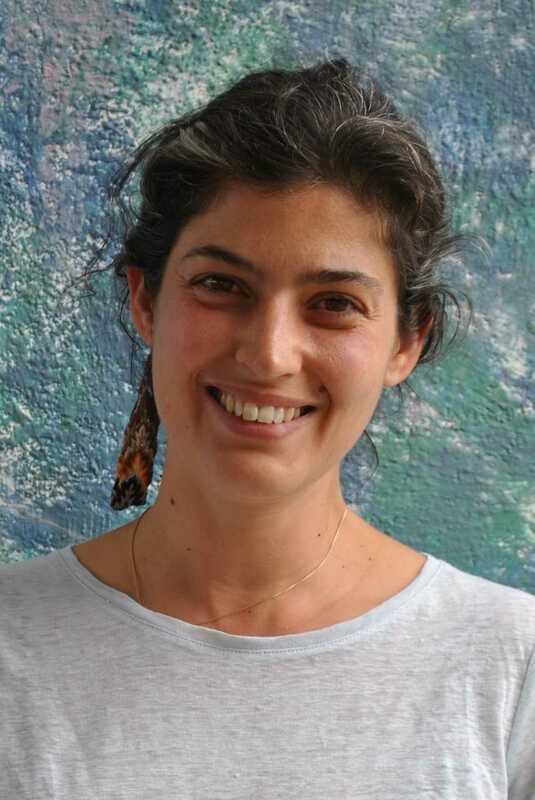 Sharon Djafaripour joined the Rising Star staff in 2004. Prior to working at Rising Star, Sharon worked for nearly 30 years as a certified dental lab technician after obtaining her Associate of Science degree in Dental Laboratory Technology from the City College of San Francisco. Her son Ryan attended the school from age 3 through the 4th grade. The years have passed quickly and she has seen many children grow and develop into confident individuals. She finds it remarkable how the Montessori method builds a strong foundation for lifelong learners. In her spare time she enjoys jewelry making, baking, cooking, traveling and Zumba. She’s also the Rising Star fix-it person and whom prospective families call to set up school tours. Cassie Shephard came to work at Rising Star while attending Cal State East Bay, over 9 years ago. She is also a Rising Star alumnus, having attended the Pre-K through 2nd grade programs. During her time at Rising Star she’s worn many different hats including roles as classroom assistant, administrative assistant, and extended care supervisor. She prides herself in always being helpful and being a part of a supportive team. In her free time she loves exploring the beautiful Bay Area, hiking the trails, trying new restaurants, and going to the movies. I searched high and low for a private school for my daughter. From Lamorinda area to Hayward This is the only school that met all of my high standards. From PreK to 5th grade this school is completely dedicated to the education, growth and happiness of each child. Jessica M.
Robyn Trueman has been teaching at Rising Star for twenty years. From the very start she knew that she had landed in the right spot, feeling fortunate to spend each day in the stimulating company of 26 young and inquisitive minds. Robyn holds a Montessori credential from the American Montessori Society and is Director qualified. She was born and raised on the island of O’ahu, Hawaii and moved to the Bay Area with her husband and now three adult children. When not working, she’s spending quality time with her family, teaching and learning from her granddaughter, singing and enjoying the outdoors. Anne Schlader is an assistant teacher and joined the Rising Star family in the Fall of 2013. She previously taught at another Montessori school, working with children age three to five years old. Upon having her second child, she decided to take a short break to stay home with her children. After becoming restless to work and missing the Montessori classroom, she recently decided to return to work. Anne is looking forward to furthering her experience and education in the Montessori Method at Rising Star. 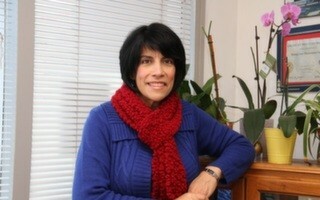 Annette Sulaiman was born and raised in the Philippines and enjoys going back often to visit family and friends. Annette attended college in the Philippines at the University of Santo Tomas, where she earned her bachelor’s degree in Pharmacy. She worked as a pharmacist for ten years before immigrating to the United States in 2006. 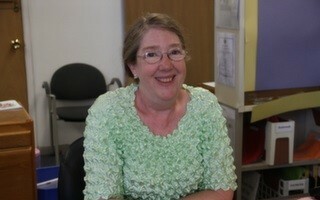 For 8 years Annette has served as an assistant teacher with every age level. She earned her Early Childhood Montessori training certification and is passionate about working with Rising Star children. Annette is very devoted to her husband, family, and in attending Catholic Church services every Sunday. Her other hobbies include singing, dancing, playing guitar and fashion. In the 11th grade, Ashley took a job at a child development center near her high school. She served snacks and cleaned the classrooms. As soon as she started to interact with the children, she knew that she wanted to teach. She became a teacher at the same school and worked there for 9 years before she came to Rising Star. She studied child development at Merritt college and is currently studying African American studies at San Francisco State University. Besides teaching I enjoy videography. Teaching brings her so much joy. At the end of the day she can say something that what she taught a child will stick with them for the rest of their life. Benedicta (Nedy) C. Santos was born and raised in the Philippines. Nedy, as she prefers to be called, attended Columban College in the Philippines and majored in teaching, prior to her immigration to the United States with her military husband. Nedy raised two children while her husband was deployed overseas and worked two jobs simultaneously, one as account payable/receivable clerk at Svenhard’s Swedish Bakery in the morning and one as a check processing clerk at the Union Bank of California from 1997 through 2015. She has worked as a teacher’s aide at Alameda Unified School District (Lincoln Middle School) since 2008 and has been in the realm of her passion – getting involved with children, and assisting them in their education. She is mostly involved in assisting the teacher in the supervision and instruction of severely handicapped and special needs students in their classroom. Nedy is an Afternoon Extended Care assistant at Rising Star where she enjoys interacting with the elementary students and assisting them in their homework. Ms. Vilma comes from a family of educators. She has been with Rising Star since 2002 and has also taught in our Pre-K and Kindergarten programs. 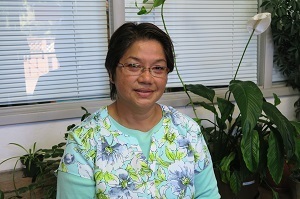 She began her teaching career soon after arriving in the U.S. from the Philippines in 2000. She is AMS certified in Early Childhood (3-6 years old) and Lower Elementary (6-9 years old), and also holds a degree in Business Management from the University of the City of Makati in the Philippines. In her spare time Vilma enjoys church and community volunteering, fitness, reading, listening to classical music, cooking, and traveling. She is also a devoted mother of two teenaged children. Kasia holds a Master’s Degree in Psychology from Antioch University Seattle, as well as Montessori Early Childhood teacher certification from the Pacific Northwest Montessori Association. Kasia has been working with children and families since 2000, both as a teacher and a therapist. Kasia joined Rising Star School family in the fall of 2017 soon after moving to Alameda from Louisiana. Kasia is also a proud parent of a RS student. She is the head teacher in the Redwoods classroom. Kasia is passionate about Montessori philosophy and in particular, enjoys inspiring children to be confident communicators who learn to respect themselves, others and the environment. She is thrilled to assist the children in developing skills of independence, concentration and emotional regulation. In her spare time, Kasia loves to read, practice yoga and explore the beauty of nature with her family. 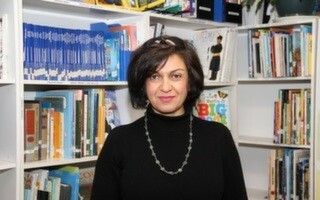 Hooriyeh Biganpour is the school librarian and Writer’s Workshop teacher. Hooriyeh became familiar with the Montessori philosophy when she and her husband began looking for a preschool for their young son, who they enrolled into the Rising Star program. Upon the arrival of her daughter in 1998, she decided to pursue Montessori teacher training. She earned her Montessori Early Childhood certification from the Montessori Teacher Education Center in 2003. At Rising Star, she has taught in different positions beginning with Computer, Art, and later working as a Pre-K head teacher for four years. For the last three years she has been Rising Star’s Librarian and Writer’s Workshop teacher. Prior to working in education she studied graphic design at San Francisco State University, and worked for 16 years as a graphic designer. She possesses a Bachelors of Arts in Industrial Arts and Design. In her spare time she enjoys gardening, hiking, camping, and aerobics. She especially loves spending time outdoors with family and friends. Hooriyeh was born in Shiraz, Iran, the city of flowers and poetry, and came to the United States in 1978. 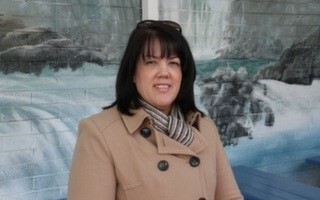 Kim Shephard is our TK/Kindergarten Head Teacher and has been at Rising Star since 1993. When she was 5 years old her Kindergarten teacher asked Kim what she wanted to be when she grew up. She told her “I want to be a teacher.” Kim has taught preschool and Kindergarten for 30 years, and also has a daughter who previously attended Rising Star. Born and raised in the Bay Area, she enjoys spending time with family and friends, crafting, video games, tai chi, reading and trying new things. 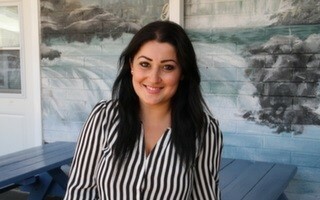 Margina Anvari is an assistant teacher in Cedars and has worked at Rising Star since 2010. During her time here she has worked at both High Street and Cottage campuses, and has completed several child development and Montessori training courses. She is currently pursuing her undergraduate degree at San Francisco State University, with a double major in Child Psychology and English. Margina has always enjoyed working with children and has previously worked at several different childcare centers and preschools. She has always wanted to make a difference in a child’s life, especially the most important stages of children’s early development. 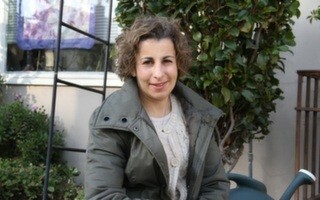 Margina was born in Armenia and came to the United States as a child in 1994, where her family settled in Alameda. Pearlie Ramos is Head Teacher for 4th to 5th grades. She first came to Rising Star twenty-one years ago. In addition to her role as Head Teacher, she also runs “Miss Pearlie’s Dance” an onsite after school program. She has also taught drama in our Summer Fun program. Pearlie was born and raised in the Philippines, where she taught at the high school level for five years, before coming to California. She received her B.A. and M.A. in Language and Literature from La Salle University in the Philippines. 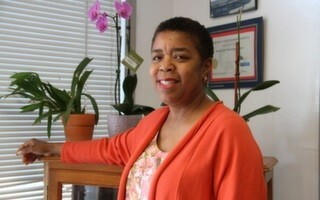 Pearlie makes her home in San Leandro, with her husband and two teenage children – both whom also attended Rising Star. She is very involved with her church, Our Lady of Good Counsel, where she attends services and also teaches catechism. In her spare time Pearlie also loves playing guitar, singing, dancing, and fashion. 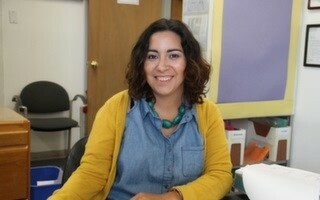 Maria is an assistant teacher in the Oaks classroom. She graduated from Santa Barbara City College with an associate’s degree in Early Childhood Education and is currently pursuing her bachelor’s degree in Child and Adolescent Behavior at San Francisco State University. 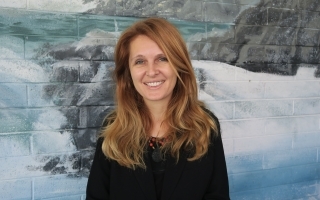 Maria’s passion is in facilitating a nurturing environment to help students grow and strive educationally. She has previously taught children from ages 3-6 and has tutored elementary and college students. 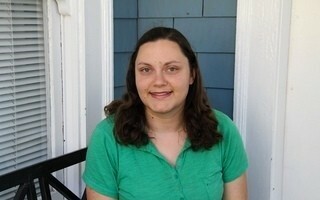 Sara Farrow graduated from College of Alameda with a degree in Psychology. She has been involved with Montessori education since the age of 10 years old and went to a Montessori School from 5th through 8th grade. While in high school Sara worked part time at a Montessori School. Sara left from being in a Montessori classroom to pursue a new career. After several years went by, she decided she needed to follow her heart and began working at a Montessori School again. Sara joined the Rising Star family in June of 2017. She absolutely loves children and is very happy to be a part of the Rising Star family. In Sara’s spare time, she enjoys spending time with the girl she mentors, her family and friends. Sara also loves animals and enjoys her volunteer work with animals. Krystina Liebig is an assistant teacher in Pines and has been working at Rising Star since 2008. She has always liked working with young children, and first became interested in early childhood development in high school. Before starting at Rising Star, she worked as a caregiver for a local family who has a child with special needs and a young infant. While working with them, she became more aware of the importance of education and having teachers that had dedication and a high level of caring. Krystina has especially enjoyed the relationships she has built with Rising Star children over the years. Her Montessori training includes completion of both the Sensorial and Practical Life courses. Krystina was born in the Bay Area and has lived in Alameda for most of her life. 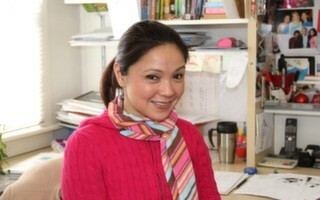 Ms. Sharlene is a very gentle, caring and happy teacher. She has a great sense of humor and is always looking for the bright side in every situation. She has earned her Bachelor’s Degree in Broadcast Media with emphasis in Educational & Instructional Media from San Francisco State University. She has received her Master Teacher and Site Supervisor credentials from the State of California. Her past experiences include: working for PBS, Comcast and ESPN on contract productions, developing media for Montessori teacher training and Montessori materials, creating media for catholic school instruction, office administration and multi-subject tutoring in a K-8 parochial school, being a Kindergarten and 1st grade teacher in Castro Valley & working with literary and mathematically gifted students at the elementary level, being a Site Supervisor for a Preschool and Afterschool STEM Program for an elementary school in San Leandro, and substitute teaching at the pre- kindergarten and elementary level. In her personal time Ms. Sharlene enjoys doing fun activities, spending time on farms, spending time with people, playing cards and volunteering in various catholic parishes. 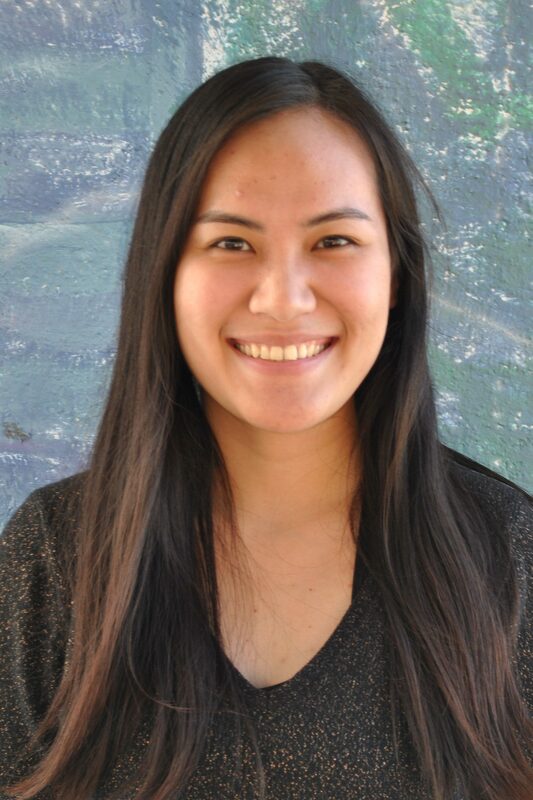 Ms. Sharlene loves working with all the students and staff here at Rising Star she enjoys being a teacher in Redwoods and in assisting in the extended care program after school. My name is Marci and I am excited to be assisting in the Oaks classroom this year. I was born in San Francisco and raised on the peninsula in a town called San Bruno. I am the eldest of 4 sisters and 1 brother and we all live in California. I now reside in Alameda since 2016 with my husband Tate, and daughter Whitney. We love exploring the island by taking bike rides or going on scenic long walks around the bay discovering the new treasures. I went to Skyline College and attained my A.S. degree in Early Childhood Education. I regularly attend workshops whenever I have the chance to do so. I continue to pursue my knowledge of the Montessori Method which I find makes sense and am eager and interested to learning more with the students. I have worked in different types of instruction from traditional to Catholic in preschools on the peninsula, and in various positions such as a Nursery room aide for a parenting class, Teacher Assistant, Teacher, and Master Teacher. I also have been a Catechist for St. Roberts, All Souls, and now serve St. Philip Neri parish and currently teach 2nd year Sunday school. I feel honored to have been placed in this wonderful established school with the opportunity to grow and learn in an enriching environment. Looking forward to an awesome year at Rising Star! Qiao Ming Zhang (Anna) was born in Canton, China. She graduated from Merritt College in Oakland, California in 2016 and holds a degree in Early Childhood Education. 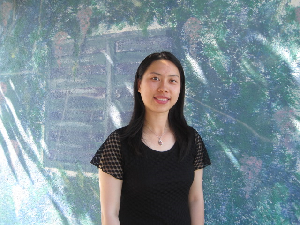 Qiao Ming is an assistant teacher at Cottage Pines and has been working at Rising Star since July 2016. She likes to work with children and see them grow, meanwhile she is a good listener, patient and a caring person. Rising Star has a warm friendly environment, and the Montessori method is different than the traditional preschool teaching setting. The Montessori method helps each individual child learn and develop in their own zone of proximal development level, there’s no play toys in the classroom setting, all the shelves in different areas are for learning purposes. Before she joined Rising Star, she volunteered with different organizations, such as the American Red Cross and Reading Partners. In her free time, Anna likes to get together with family and hang out with friends, she also loves to explore the beautiful places in the surrounding area, hiking the trails, bowling, reading, and trying new restaurants in the Bay Area. 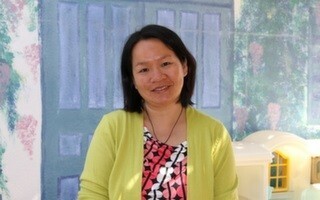 Ellen Soi has been with Rising Star Montessori School since 2008. She earned her Bachelors of Science degree in Business Administration from San Francisco State University. She also holds her teaching credential in Early Childhood from the American Montessori Society. Ellen first came to Rising Star after visiting several preschools, and decided to enroll her daughter. She was later so impressed with the philosophy of the school and applied for an open position as teaching assistant. During her time here, Ellen has worked as an assistant in our Pre-K program, and has also served as reading and motor fitness resource teacher. 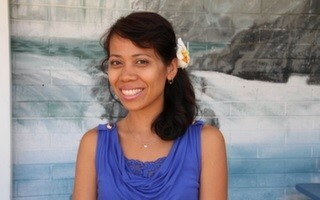 She enjoys teaching because it is challenging, rewarding, and stimulating. She believes that every child is unique and every child has the potential for success. In her spare time Ellen enjoys photography, cooking, attending her children’s sports games, and spending time with her family and friends. Ellen is the happy mother of two wonderful children, a son who currently attends Rising Star, as well as a daughter who is a recent 5th grade graduate. 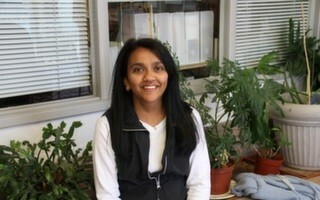 Rosalie Ragasa has been a teacher at Rising Star since 1996. She has three wonderful children who have gone through the Pre-K and elementary programs. 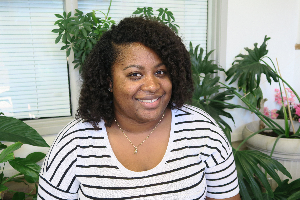 Prior to working at Rising Star, she worked at Merritt College as a Peer Advisor in the counseling department helping students with orientation and counseling needs. During her tenure at Rising Star she has worked as a classroom assistant, Motor Fitness teacher, and Extended Care Supervisor. Her interest in the overall social development of children, i.e. how the community, socioeconomics, and family dynamics affect a child’s social and emotional development, has encouraged her to continue her education. She holds an Early Childhood 3-6 Montessori certification from the American Montessori Society. Additionally, she earned her Associate’s degree in Social and Behavioral Sciences, and Bachelor’s degree in Sociology from California State University at Hayward. Rosalie brings her skills and nurturing care to the preschool room every day where she creates a loving, nurturing, and safe environment for the children. She enjoys spending time at the park with her family, singing, and dancing. Rosalie was part of a Polynesian Dance Company for five years and has performed in the San Francisco Ethnic Dance Festival, Tahiti Fete of San Jose, and Dance Concerts throughout the Bay area. Her love for music and dance has also contributed greatly to her classroom. her Montessori training in Early Childhood. She’s passionate about art, nature, children’s education, food, and her family. She loves to explore the trails and beaches of the Californian coast, though she wishes the water was a bit warmer on this part of the Pacific. Alexia Urizar is our recycling & composting coordinator, a role that combines her two passions for learning and nature. She began working at Rising Star in 2005 at the High Street Campus as an assistant teacher. In the summer of 2006 she moved to the Cottage Campus where she took on the role of extended care supervisor before returning to High Street in 2012. Her Montessori training has included classes at the Montessori Teacher Education Center as well as courses in early childhood development (ECE units) at Merritt College. 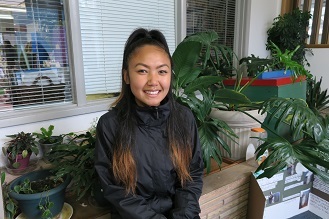 Alexia established a new eco-friendly program at the school and is now our composting and recycling coordinator, a position funded as a result of a grant she pursued for Rising Star from the Altamont Settlement Agreement in Livermore. Alexia loves being a steward of green consciousness and helping children understand the importance of conservation. Her son, Zeriya, is in the Pre-K program at the Cottage. 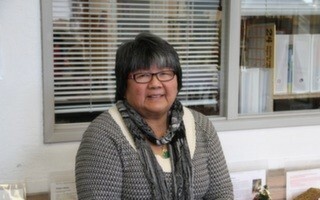 Sally Chen is an assistant teacher in Pines. 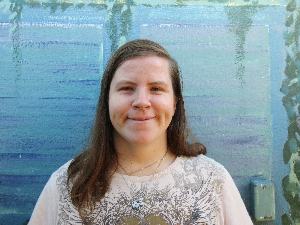 Prior to working at Rising Star, Sally worked for over 10 years at several traditional preschools in the Bay Area. Since coming to Rising Star she has completed several Montessori training courses and loves working in a Montessori environment. She especially appreciates how the Montessori Method helps each individual child learn and develop in their own pace. Outside of Rising Star, Sally enjoys spending time with her husband and her two children. 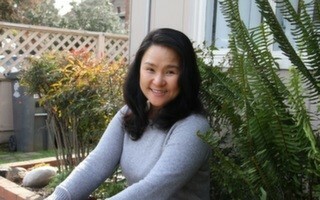 She enjoys many outdoor activities with her family including biking, swimming, and hiking. Sally graduated from high school and attended four years of university in San Francisco. She was born in Canton, China. Jennifer Cuico is an International Student. She was born and raised in the Philippines. She moved to the United States in 2016 to be with her family. Jennifer is currently taking her internship to earn her Montessori Early Childhood Teaching Certification. She studied Bachelor of Science in Nursing in the Philippines at Ateneo de Zamboanga University. This is her first teaching experience since she came from a different career field and she is loving every second being with her students and in a Montessori environment. She loves seeing the children grow in all aspects and it makes her proud to be a part of their journey in their lives. When she’s not working, she enjoys cooking, being with her dog and making sure she spends time with the family. 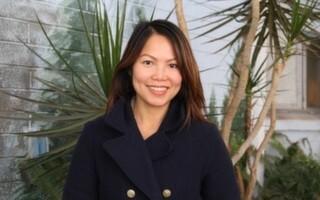 Jennifer also enjoys traveling and exploring the Bay Area.